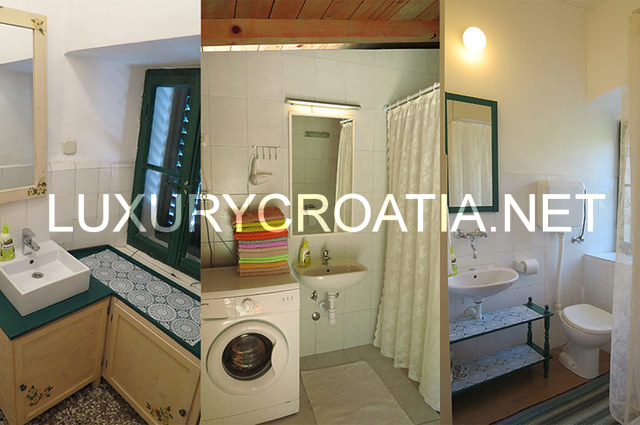 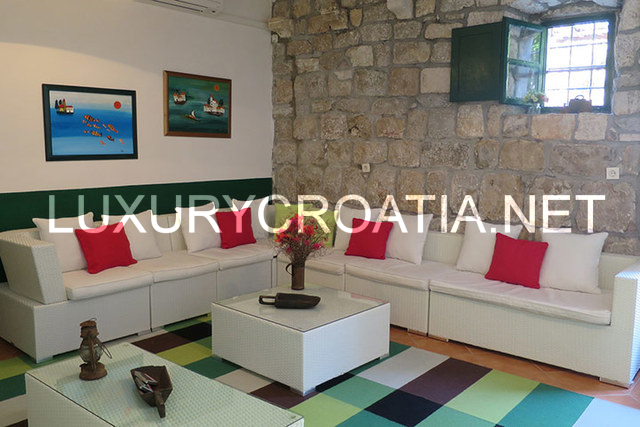 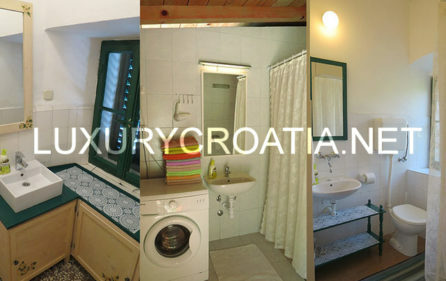 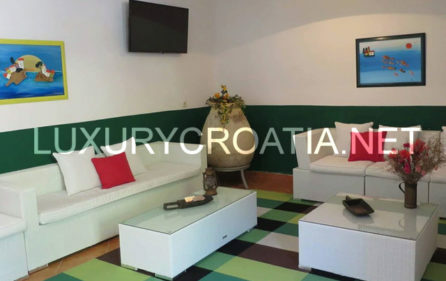 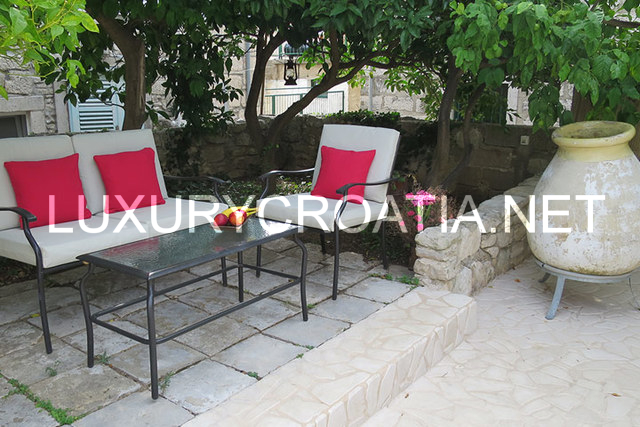 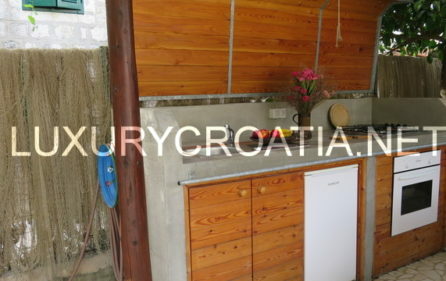 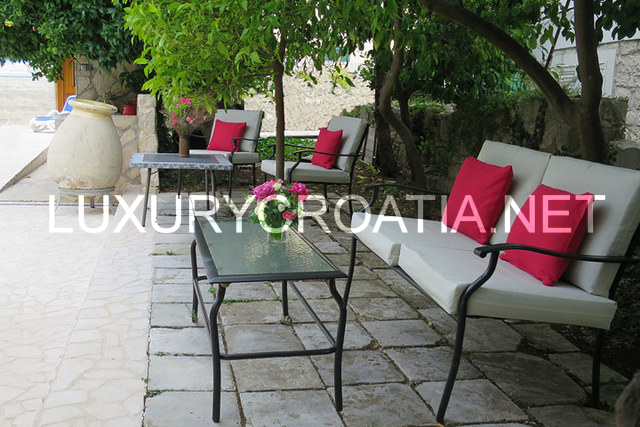 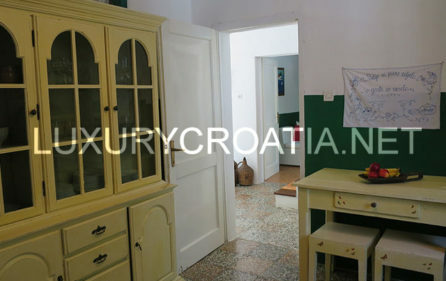 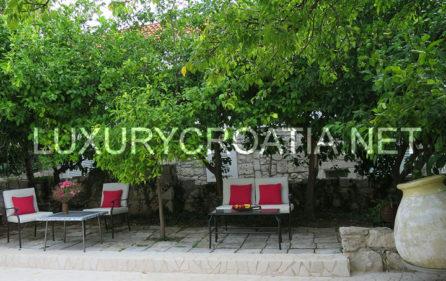 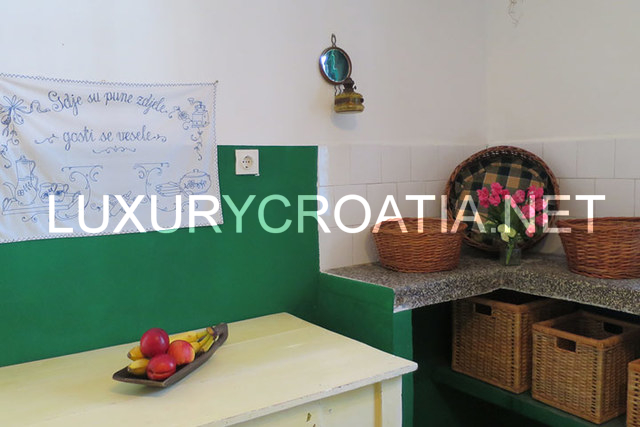 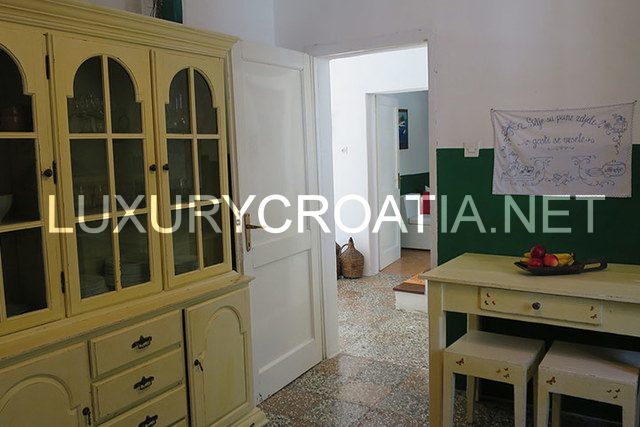 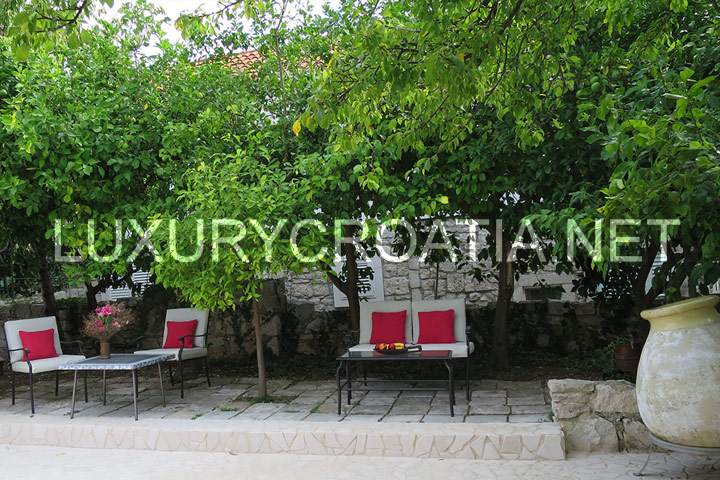 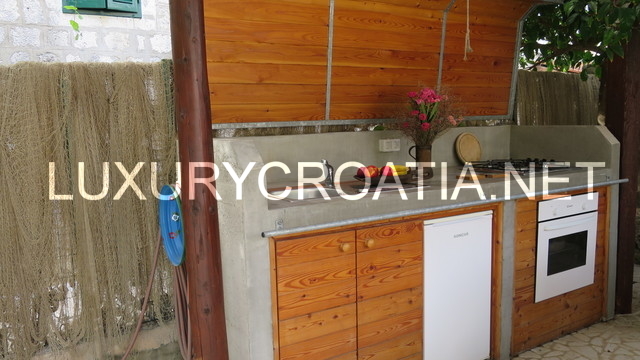 Old fisherman house for rent, Orebic, Peljesac: This beautiful traditional fisherman’s house is located within the historical center of the old maritime village, Orebić and is only 40 meters away from the sea. 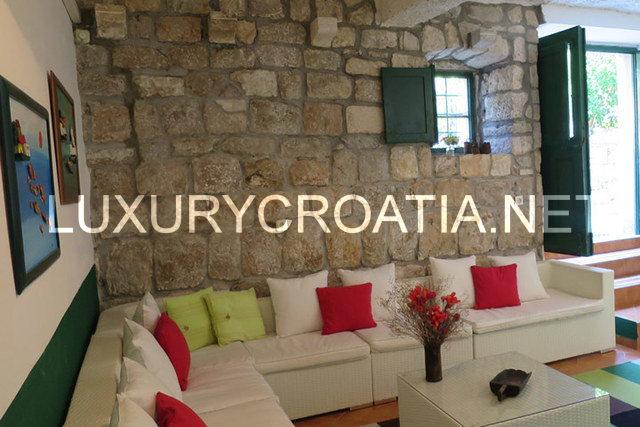 The house is a picturesque ensemble of antique stones of various origin with authentic Dalmatian features such as a stone flower box in view of the entrance and guest room. 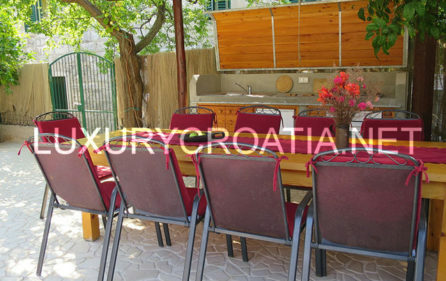 With a total of 5 bedrooms and 3 bathrooms the house offers and a spacious kitchen that is rustically decorated and equipped with standard appliances. 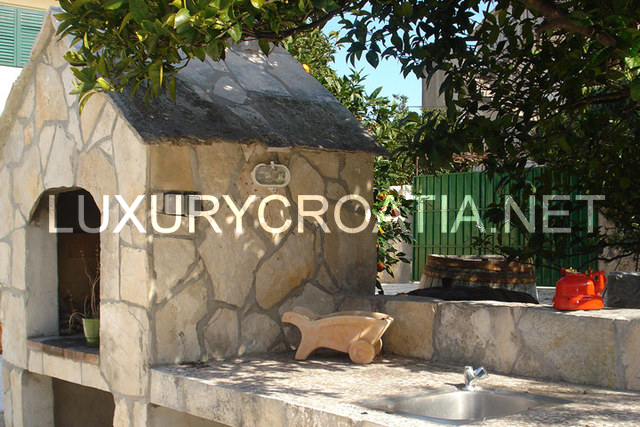 The original stone fireplace and window-sink offer a glimpse of the beauty of old traditions. 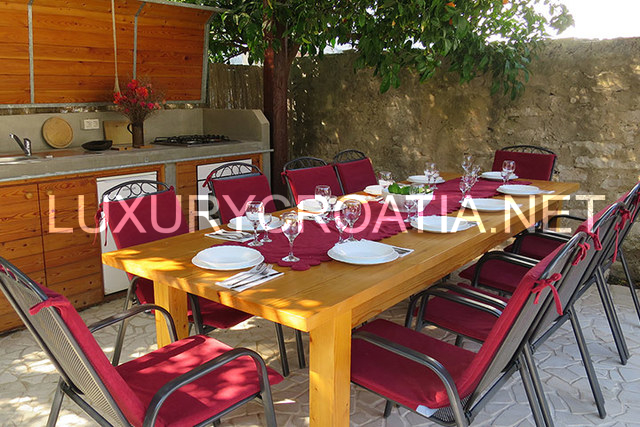 The most pleasant and most attractive area of this fisherman’s vacation house is the garden, with a traditional Mediterranean stone veranda (corta) enclosing a pool with a mesmerizing view on Mount St. Ilija. 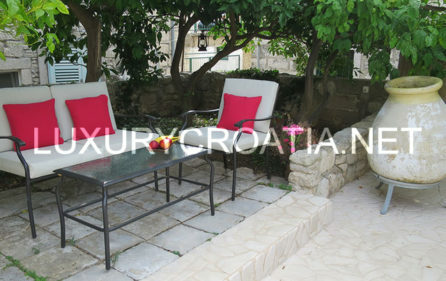 The house provides a safe parking for 4 vehicles. Air Conditioner, Sat TV, ceiling fan, bedlinen is delivered in the weekly change, Wi Fi. 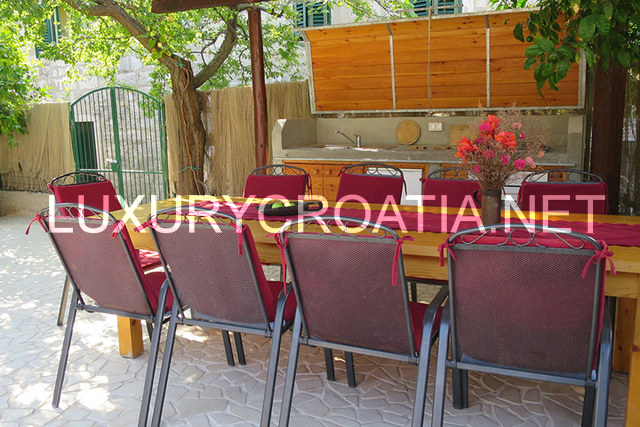 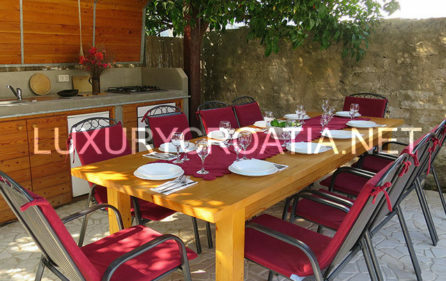 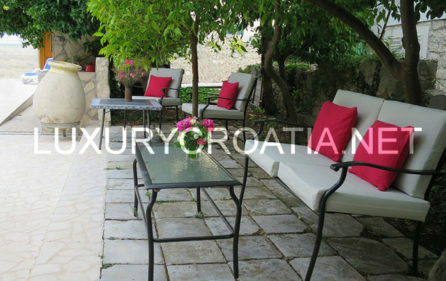 Private covered terrace, tables and chairs, area of terrace: 50m2. 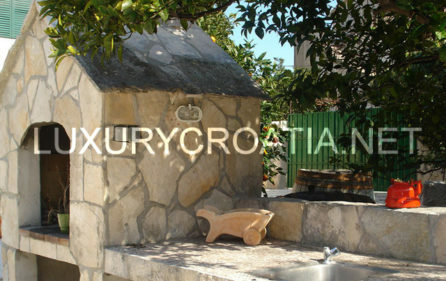 Swimming pool, outdoor shower, sun beds, garden, barbecue, siting garden set, indoor parking, kids playground. 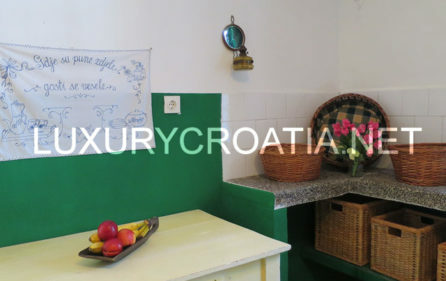 Pets are allowed without extra charge. 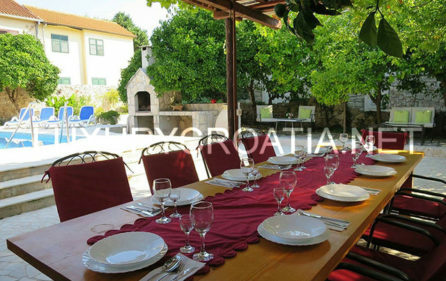 Orebic is located towards the tip of the Peljesac Peninsula, opposite the island of Korcula. 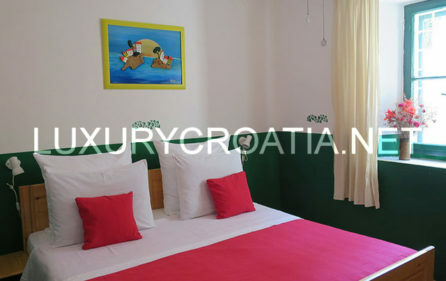 Once upon a time very well known for its maritime industry – which reached a peak in the mid-19th century during the Austro-Hungarian – these days it is probably the best known resort on the Peljesac Peninsula. 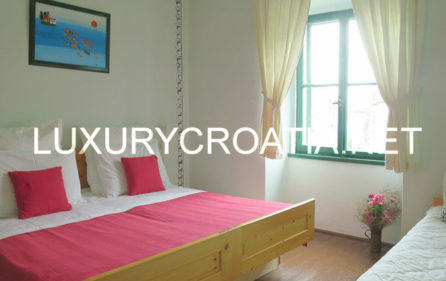 It is home to some lovely beaches, including that rarity in Croatia – sandy beaches! 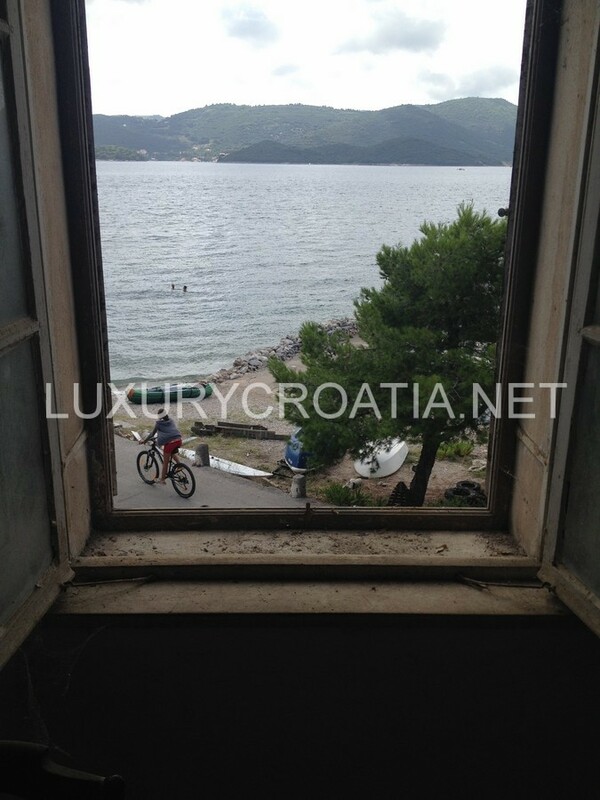 (Check out Trstenica Beach in particular.) 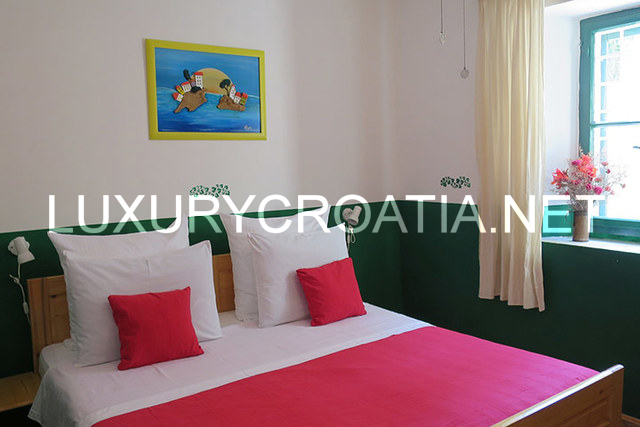 The area is also a suitable location for a range of activities, including surfing and diving.